Ever wondered how everything around us came into existence? Well anthropology is the science that deals with the study of how the mankind and his origin. It is the science that deals with the history of the development of human beings and the social, cultural and physical growth and behavior of mankind. 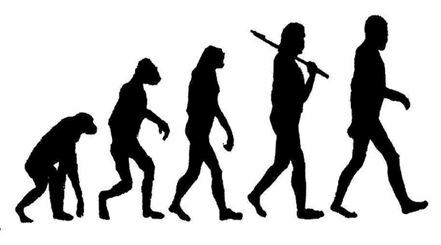 Although anthropology was a Natural Science originally, but over the years it has evolved into a much technical and complex field which not only studies the human society but how the human evolution came into being; and today it is treated with as a great supporter of multiculturalism and pluralism. A career in Anthropology will expect the person to be involved in field work and research. There are many an institutes in India that will at the end of the study course employ anthropologists with the Anthropological Survey of India. One can start working as a professor with various universities among other options after completing their education. Those who plan to pursue field work in the field will be expected to be involved with the study of certain ethnic groups or ancient artifacts in remote locations for long periods. This work can be especially exhaustive as it involves both mental and physical work and involves working of the anthropologist in locations that are not very high on comfort. In order to pursue a Bachelor’ degree in Anthropology, the student must have completed his/ her higher secondary education or 10+2 with biology as the subject and minimum of 50 per cent marks. The duration of a bachelor’s course is three years. In order to pursue the Master’s degree in Anthropology program in Anthropology the student must have a bachelor’s degree in the relevant subject. The duration of the master’s course is two years. In India, there are many job opportunities that the students of anthropology can behest. Also you have the option of teaching in educational institutes to other students of Anthropology. Anthropological Survey of India is the major recruiter for anthropologists in the country both at the centre and at the state levels as well. There are also many government research institutes which employ anthropologists in India. One has the option to making it to organizations such as WHO, UNESCO and UNICEF. Sectors such as art galleries, curators, publishing houses, NGOs, archives, museums, libraries, etc. are also options where one can think of start working. One can easily say that the career opportunity of working as an anthropologist is any given day greater abroad than in India. They are employed in many sectors such as law, business, medicine and other professional institutions. Anthropologists are also engaged in societal development of programs and public services. Freshers, who are at the beginning of their career, can expect somewhere between Rs. 8,000 to 10,000 per month. Remember that work in research and field work is done under a grant of money from national and international funding agencies so there is always tough competition.